Beauty experts say anti-aging regime should start as early in early 30s or late 20s. 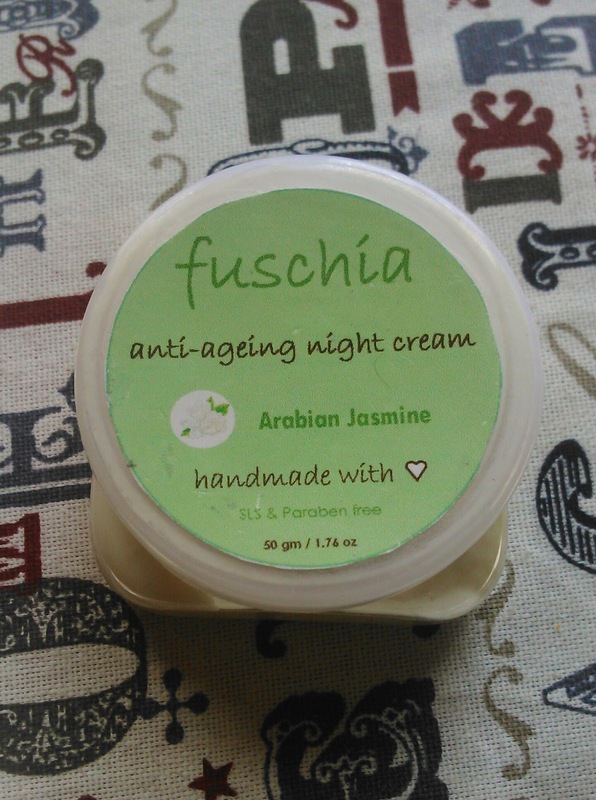 I have recently started my night care regime after I used Fuschia Arabian Jasmine Anti aging night cream. I don't apply any cream on my face as I have oily skin and I fear acne so leave aside even the thought of using night cream. But now my skin is free of acne and have faint acne marks which will fade in almost 2 weeks (hope sooo :P). So today's review is about Fuschia Arabian Jasmine Anti Aging Night Cream. The cream prevents sagging and firms skin. It is infused with 100% natural and vegetarian ingredients. Jasmine oil clarifies, hydrates and heals skin whereas Vitamin E prevents aging and fine wrinkles. Use every night after thorough cleansing before going to bed. Gently apply till fully absorbed. The cream comes in a plastic jar packaging with a twist cap. 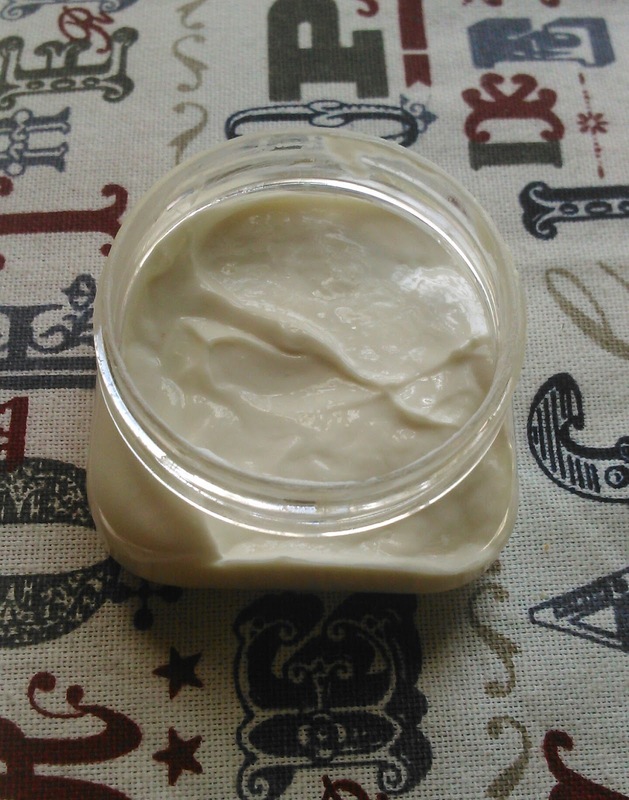 The cream is milky white in colour and has a pleasant jasmine fragrance. 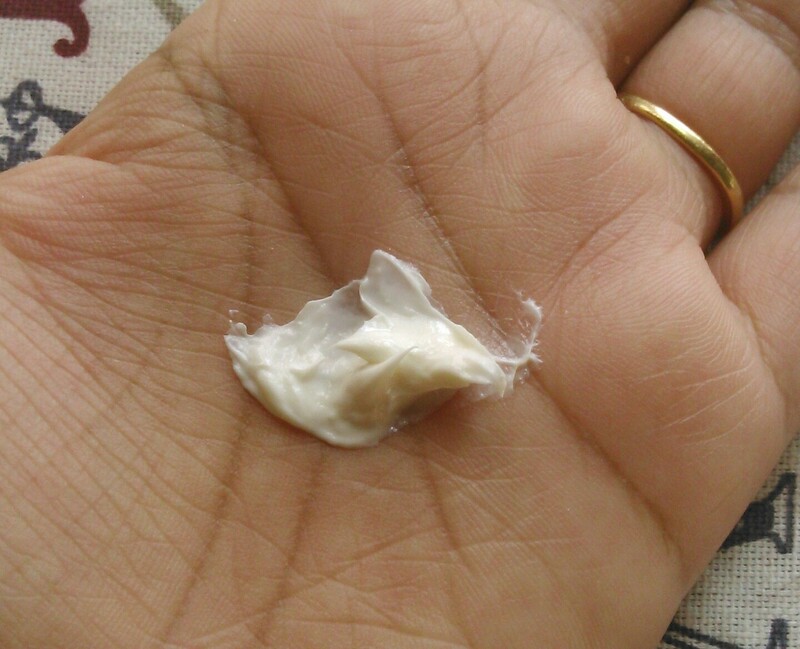 The fragrance is not at all bothering and remains for some time after applying the cream. The cream gets easily absorbed in the skin and doesn't leave a oily residue behind. Even if we apply the cream in excess it doesn't feel oily. A very less quantity of cream is required for the whole face. After applying the cream we feel fresh. The cream hydrates and mosirturizes the skin sufficiently. I have oily skin and it didn't break me out or didn't make my skin look or feel oily. It works on pigmentation very slowly but that is not a problem as the cream is free from chemicals and that is a major concern for me rather than reducing my pigmentation. I haven't seen any effects on my acne scars though but it does give a great matte effect to the skin. Availability - Available on vkarebiosciences.com website and also available on major shopping portals at a discounted rate. Overall the cream is a great product for price and gives skin the much needed nourishment. It hydrates, mositurizes, reduces pigmentation, gives matte effect to the skin. It comes with the goodness of jasmine oil, olive oil, vitamin E and is a sure shot winner as a night cream. You will never regret buying this cream and your skin will definitely thank you for this product. Repurchase - Yes, going to repurchase for my Mom. Recommendation - Yes I would definitely recommend the Fuschia anti aging night cream as it is 100% made from natural ingredients and does what it claims. Which is your favourite night cream?